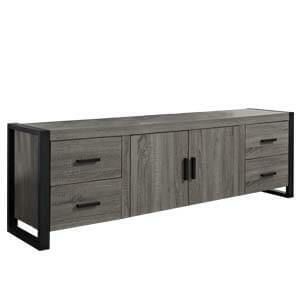 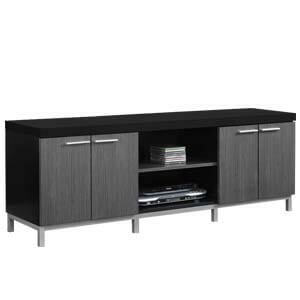 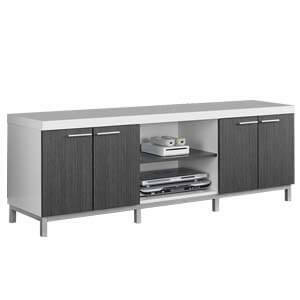 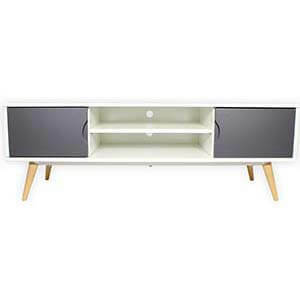 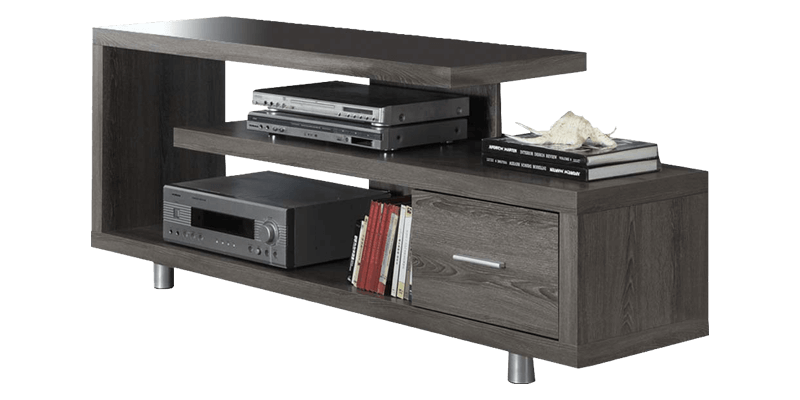 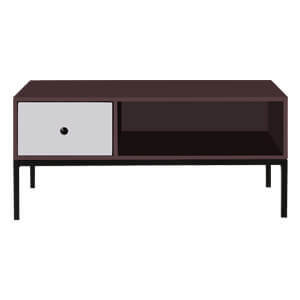 Modern grey tv entertainment unit in chic rectangular silhouette. 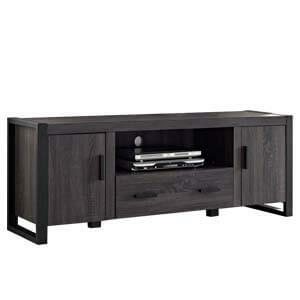 Handmade, it stands on sturdy wooden legs with a compliment of quality laminate that doubles its style appeal. 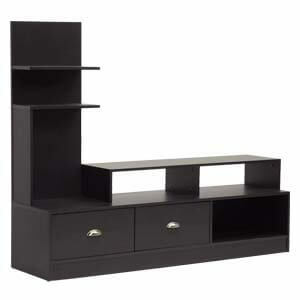 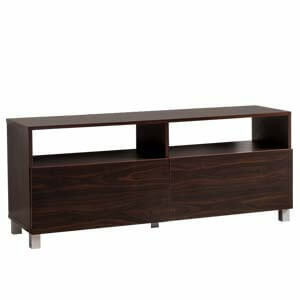 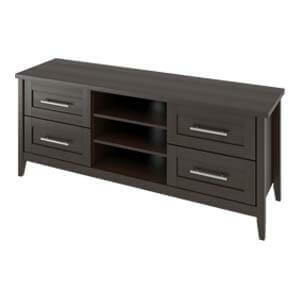 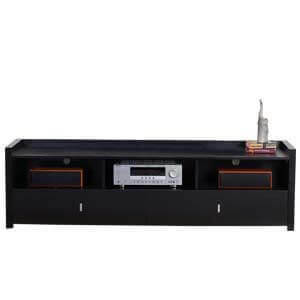 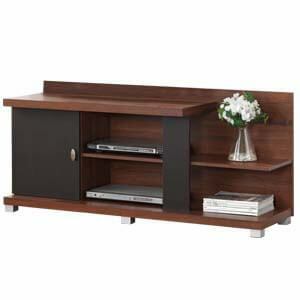 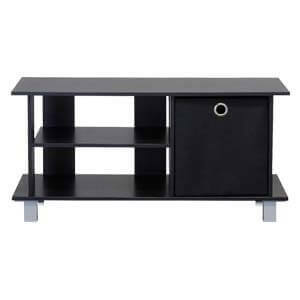 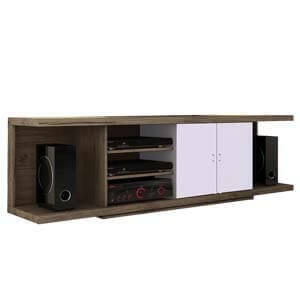 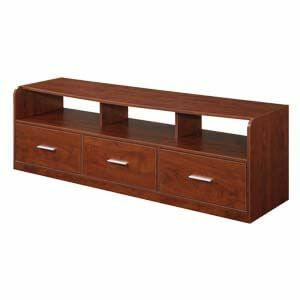 Practical and functional, this piece offers adequate storage for your TV, electronics, and entertainment accessories. 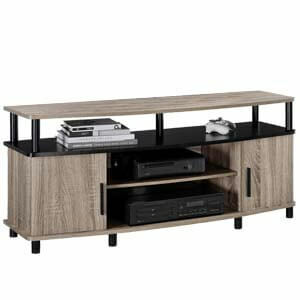 And, provides easy and efficient cable and wire management.